A dream city that intangibly unites past and present, rich history of wars and politics with classic and elegance of fashion world. The city that gets inside your soul and brings up different kind of emotions and feelings. Place that never gets old. The city that once visited makes you want to visit and revisit it at least once every couple of years. 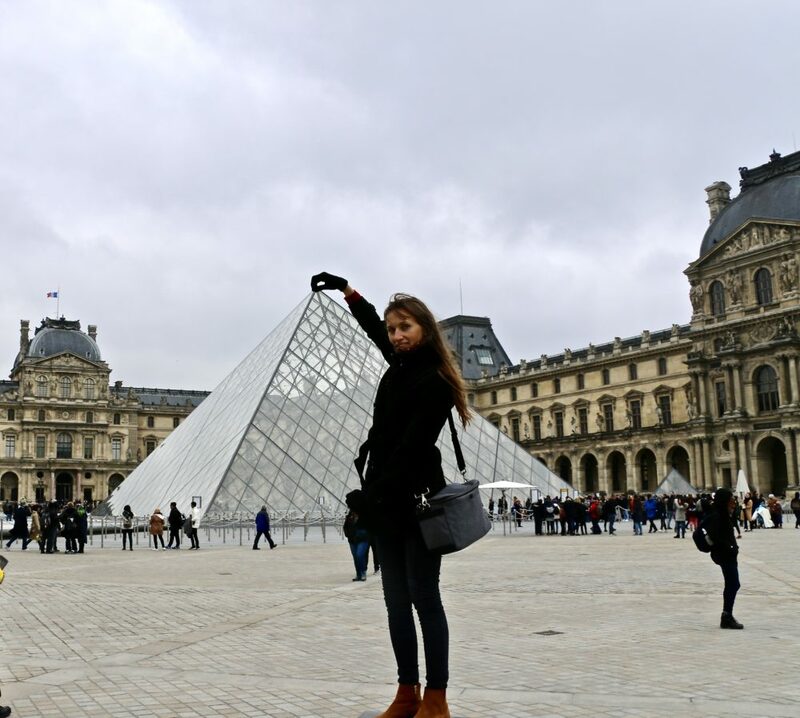 My first visit to Paris a couple of weeks ago was exactly like that. 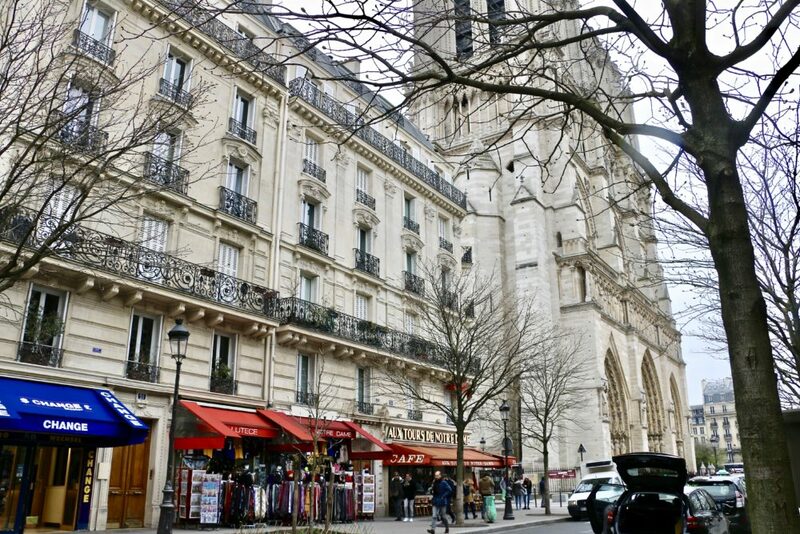 The moment I put my feet on the Parisian ground, I fell in love with this bustling with life city. 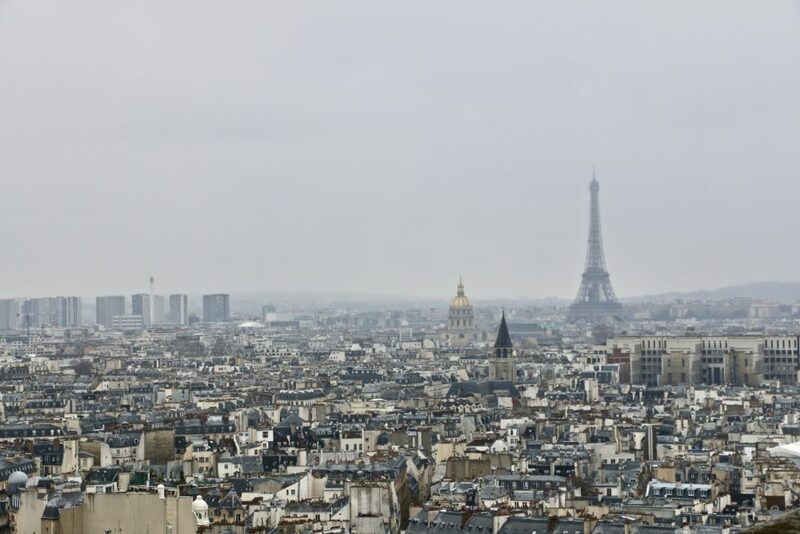 Even with thermometers not letting their mercury level expand and move up above 50 °F (10°C), Paris astounded with beautiful architecture, chaotic big city lifestyle and music to the ear – French language. 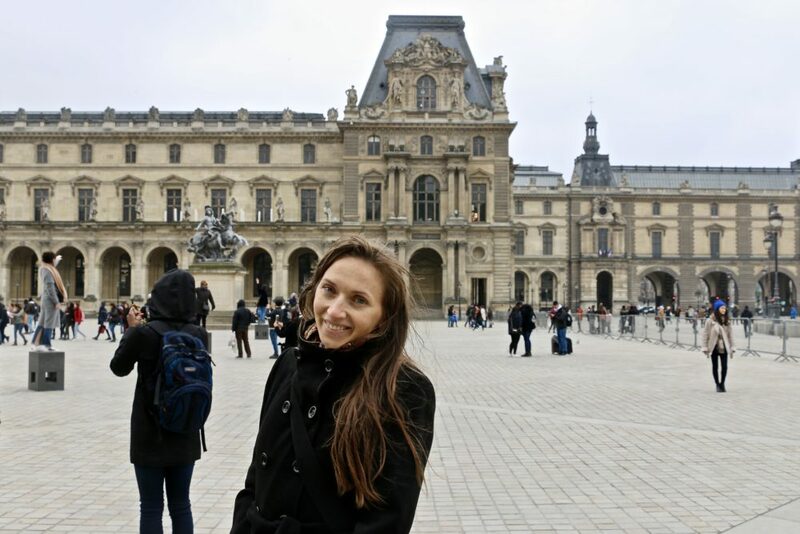 Still pinching myself in disbelief and already dreaming of going back, I have created an introductory guide for first-timers or anybody considering visiting the home of the most famous lady in the world. 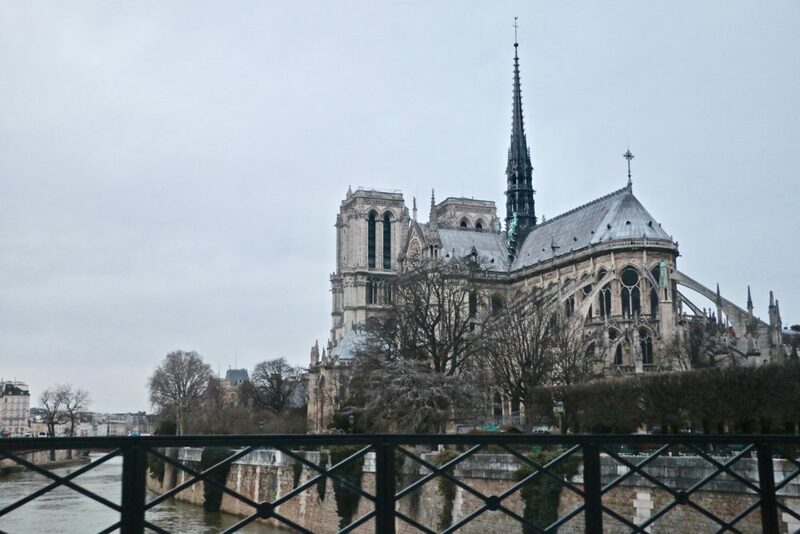 Vividly portrayed by Victor Hugo in his world-known classic “The Hunchback of Notre-Dame”, the iconic Notre-Dame de Paris is one of the symbols and geographical heart of the city. The medieval Catholic cathedral with two massive Gothic towers and three great rose windows personifies Parisian elegance, grace and power. Luckily, the time when hunchback Quasimodo was the primary dweller and keeper of the cathedral are all gone. 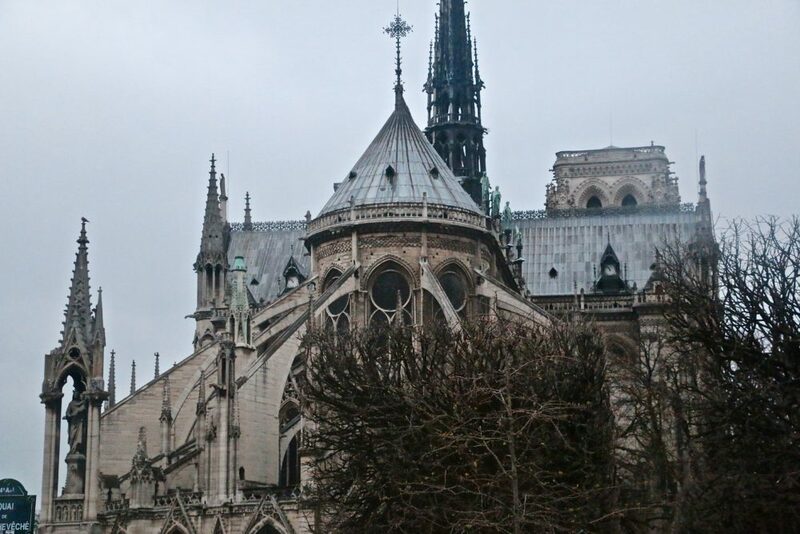 Notre Dame is open to the public. For the one-of-a-time experience and a chance to get in touch with history, save 10 Euro for a ticket that will give you access to the famous towers. 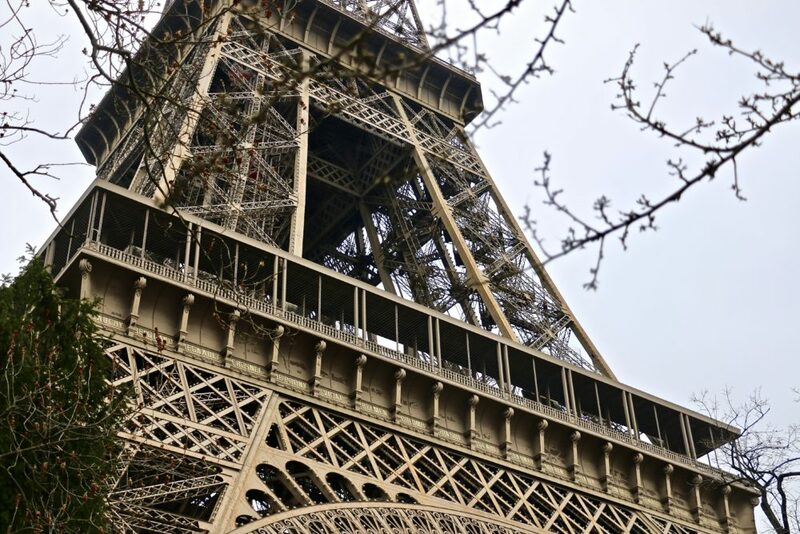 387 steep, winding steps will take you to two observation points with breathtaking views over Paris including the Eiffel Tower, river Seine, Sacre-Coeur Basilica and old rooftops of ancient city. 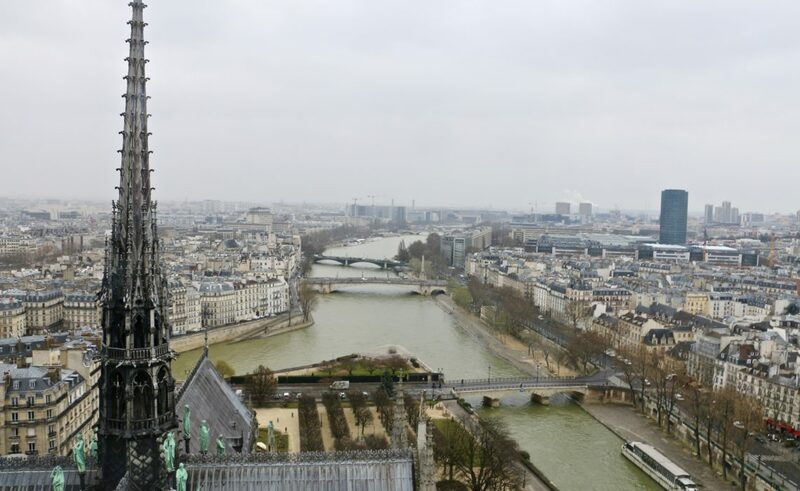 Seeing the city from the top of one of the most popular cathedrals of the world surpasses all your expectations and makes up for all those calories that you burn while clambering up the stairs. 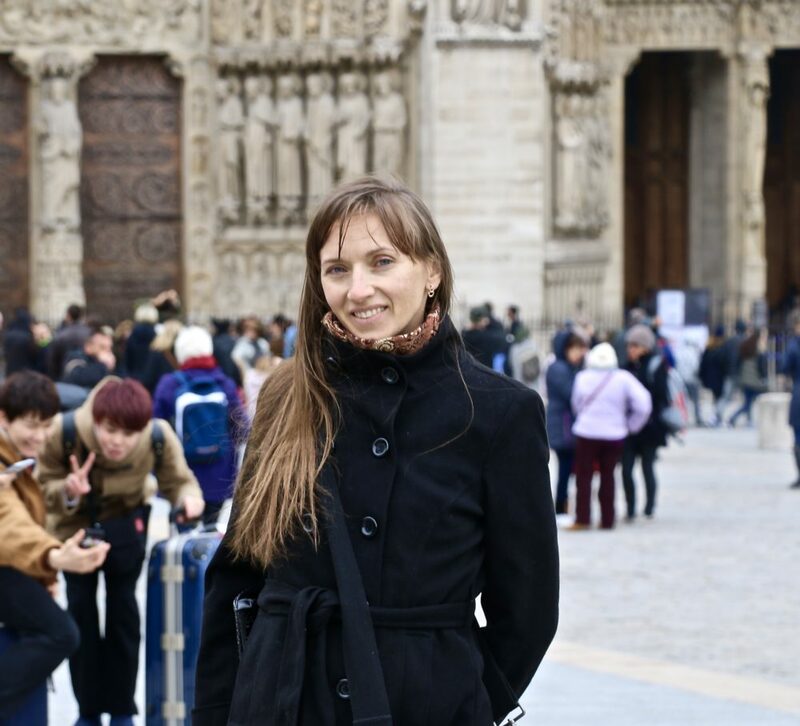 If it is your first time in Paris, then let me congratulate you. You finally reached home of the most famous lady in the world that once was wearing the title of the world’s tallest structure. 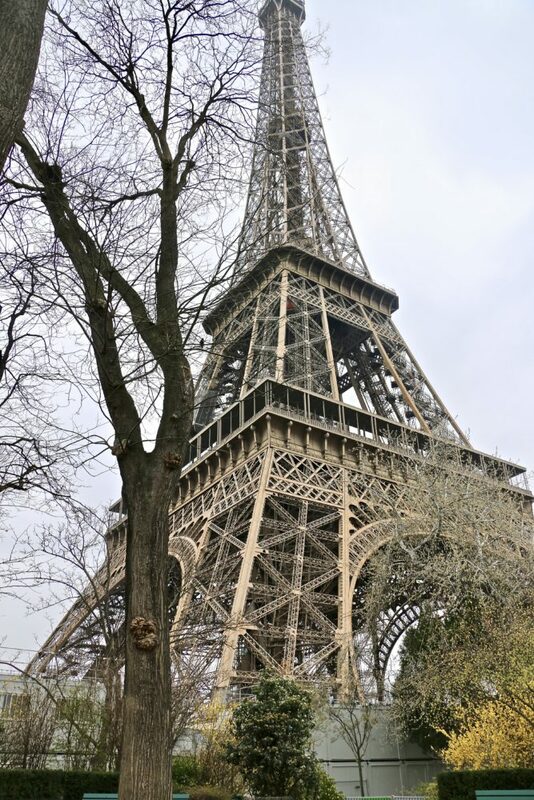 Some disputable opinions insist the Eiffel Tower does not deserve all admiration and love. 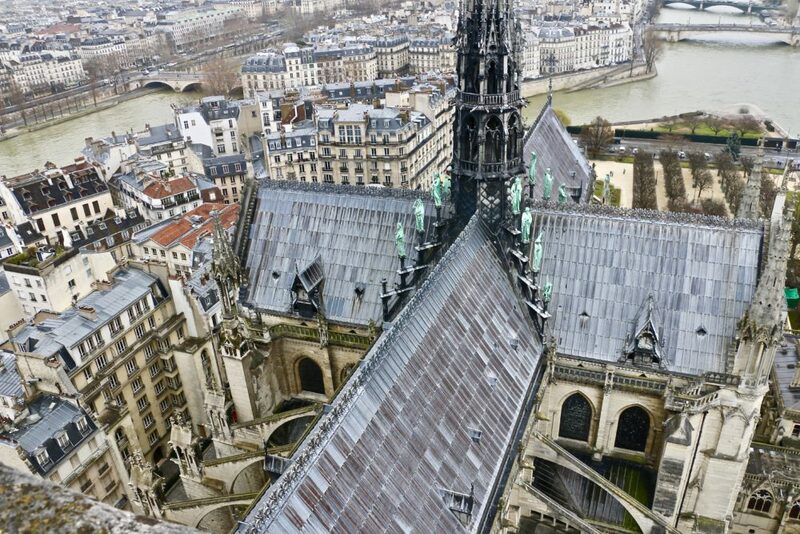 According to them, it looks rather hideous against the background of Parisian refined architecture. However, despite all these comments, the iron lady with its unique shape has never once failed to attract millions of people from all corners of the world. Moreover, it is the most recognizable landmark of the country. I assume, you do not belong to that small group of critics and would gladly undertake a mini adventure of climbing (elevators are also available) all the way to the top of the tower and gaze down on one of the prettiest cities on earth. 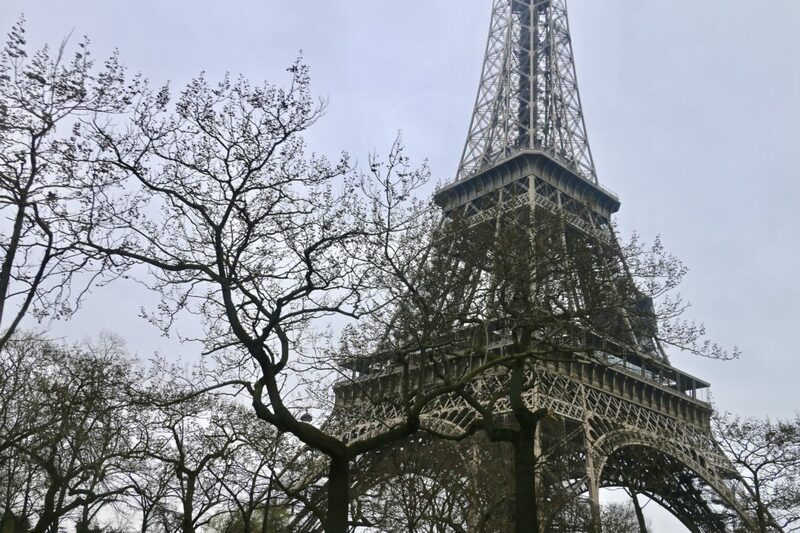 But, if the Eiffel Tower is not on top of your list, you do not have to take away time from your other Paris activities and pay visit to the Lady at Champ de Mars. At 984 feet tall (1063 feet including the broadcast antennas at the top), this iron structure can be seen from many parts of the city. 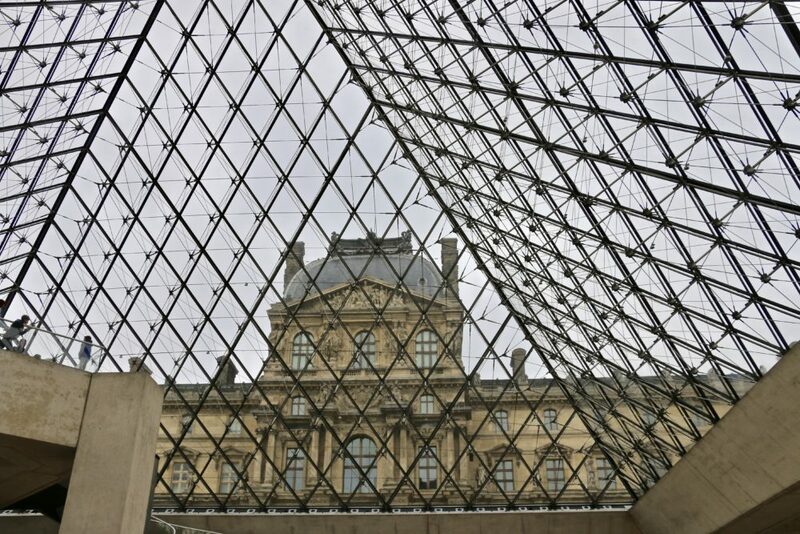 If you have an extra day in Paris, make sure to spend it at the Louvre. The famous Mona Lisa, Venus de Milo, Great Sphinx of Tanis, Michelangelo’s Dying Slave, Winged Victory of Samothrace, Botticelli’s Venus with Three Graces are just a few out of 380,000 masterpieces located in the Louvre Palace. Very impressive, isn’t it? The exterior and courtyards of the museum are as remarkable as its notable indoor exhibitions. 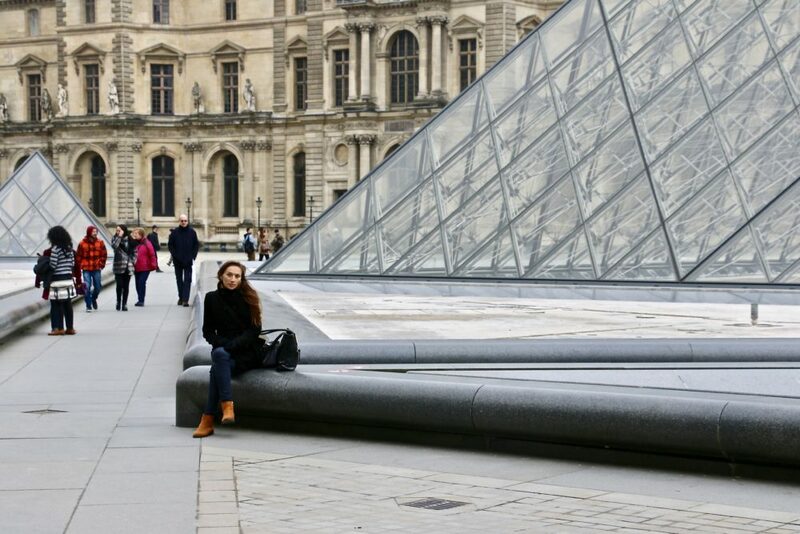 A newest addition to the museum, a large glass and metal pyramid surrounded by three smaller pyramids, alone can steal the scene and attract all picture-thirsty visitors of the city. 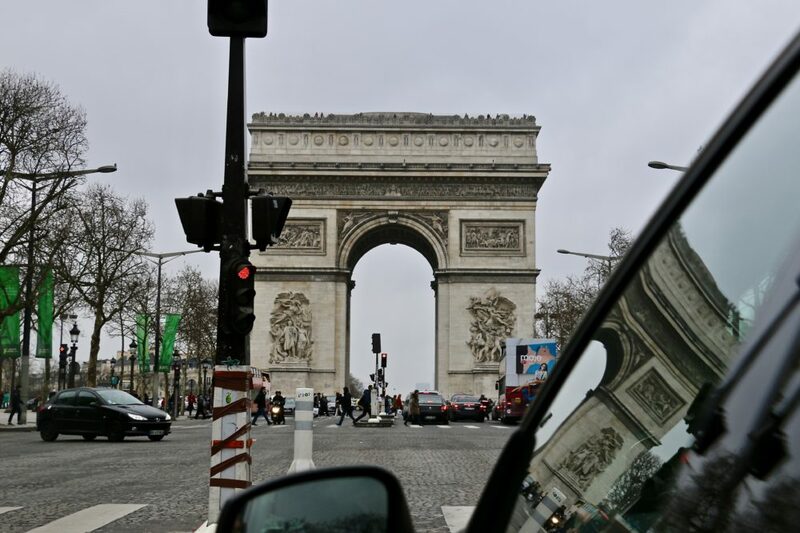 At the western end of the Champs-Élysées, another famous symbol of Paris, finds its permanent residency. 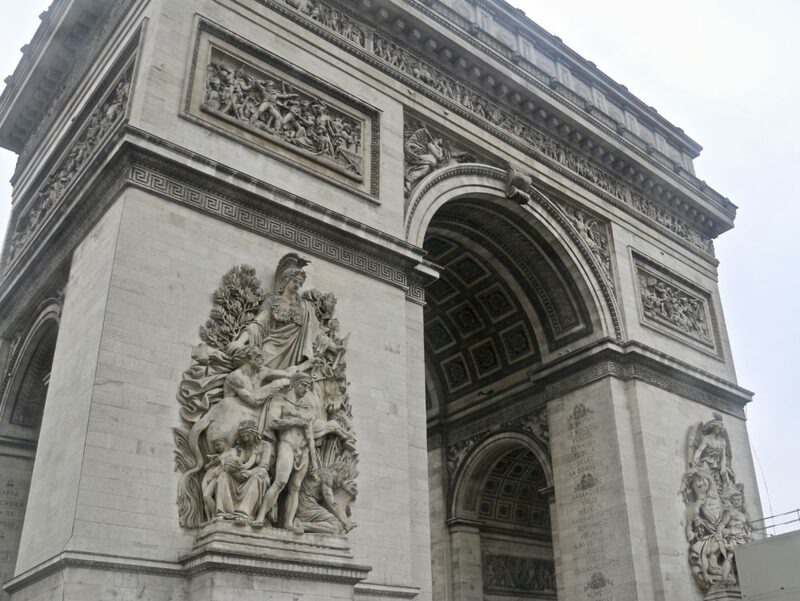 Built in the beginning of 19th century, Arc de Triomphe represents nation’s gratitude towards soldiers who fought for France, especially those who took part in the Napoleonic Wars. With the names of the generals and wars fought engraved on the inside and at the top of the arch, the stately monument will give you an unforgettable history lesson. 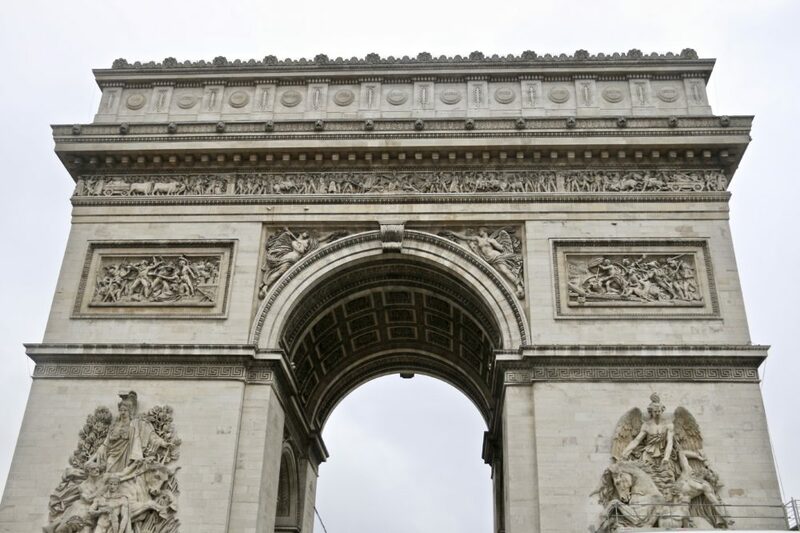 Make sure to buy your ticket in advance to avoid big lines typical for the Arc de Triomphe. 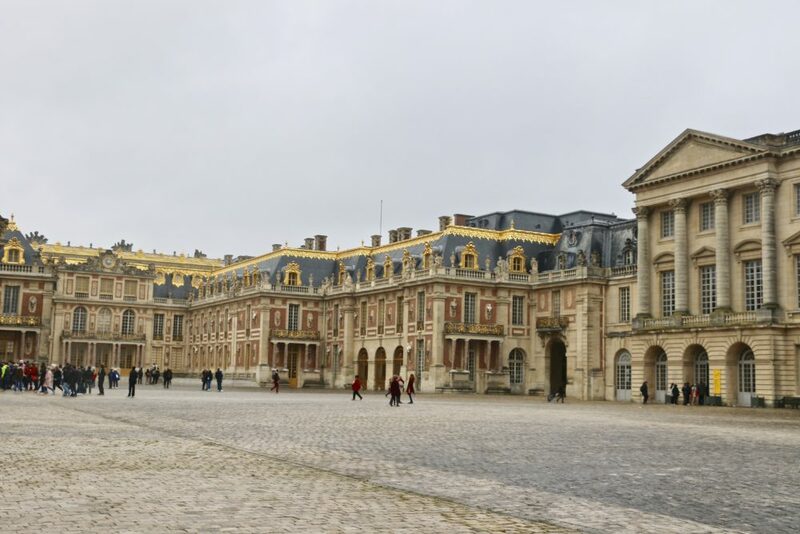 To be precise, Palace of Versailles is located in Versailles, not on the territory of the French capital. 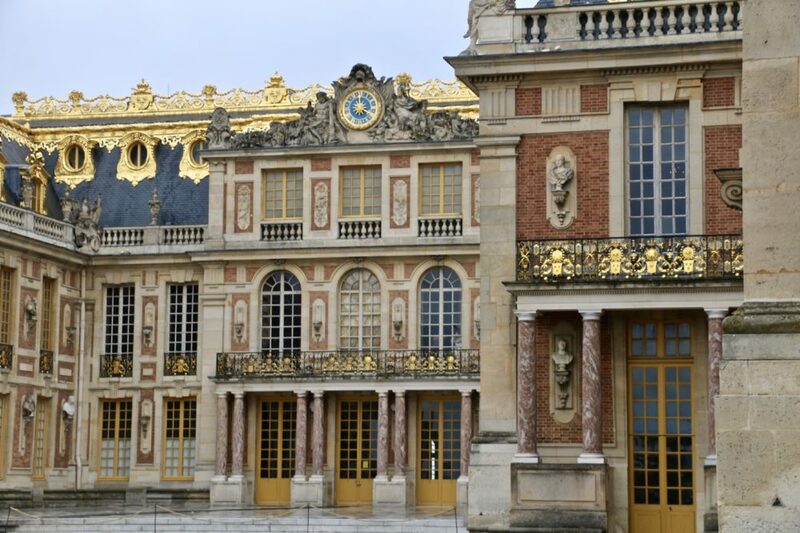 But how can you visit Paris without making a stop at the former French royal residence? We couldn’t resist the temptation and with help of our friendly Uber driver in less than an hour stepped on a broad, cobblestone driveway leading to the main entrance gate of the palace. Without doubt, the place of such historical importance cannot not impress you. 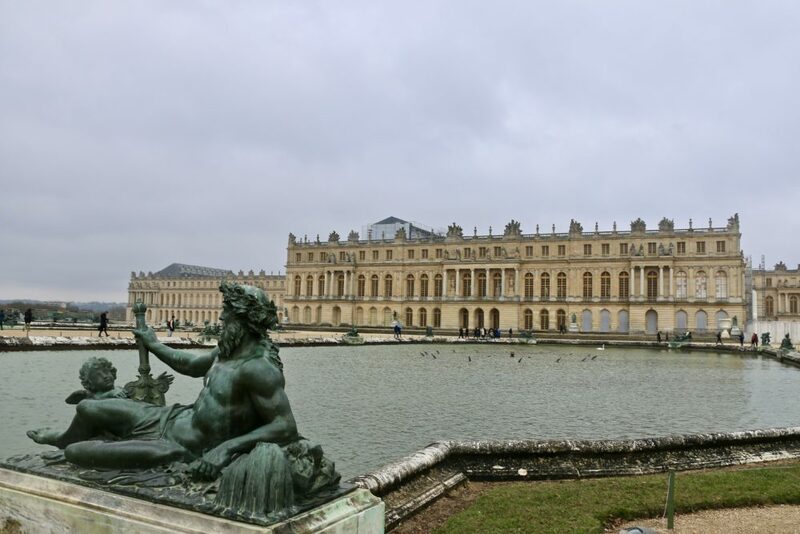 The enormous, awe-inspiring palace surrounded by the magnificent Gardens of Versailles, instantly fascinates with its pomp and grandeur. 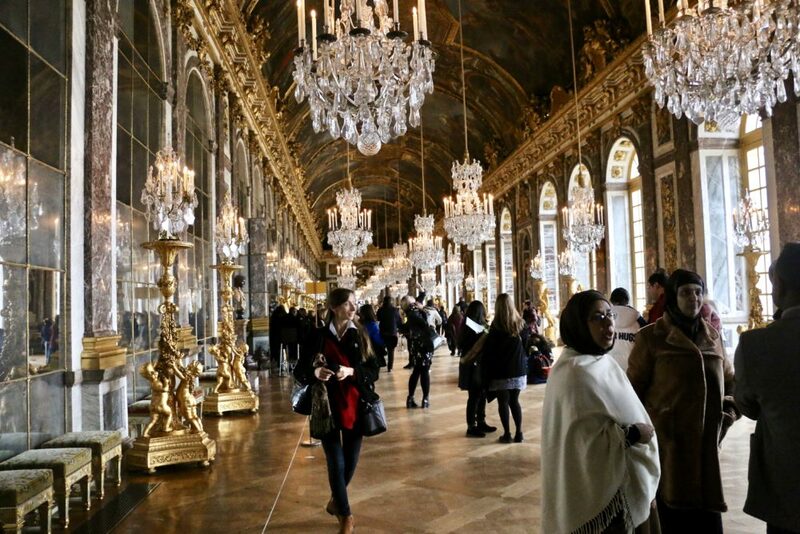 Splendid decorations, massive chandeliers, old pieces of furniture make you feel like you went back in time to the period when Louis XIV and other royal family members occupied the place making it the center of government and most extravagant balls in the country. 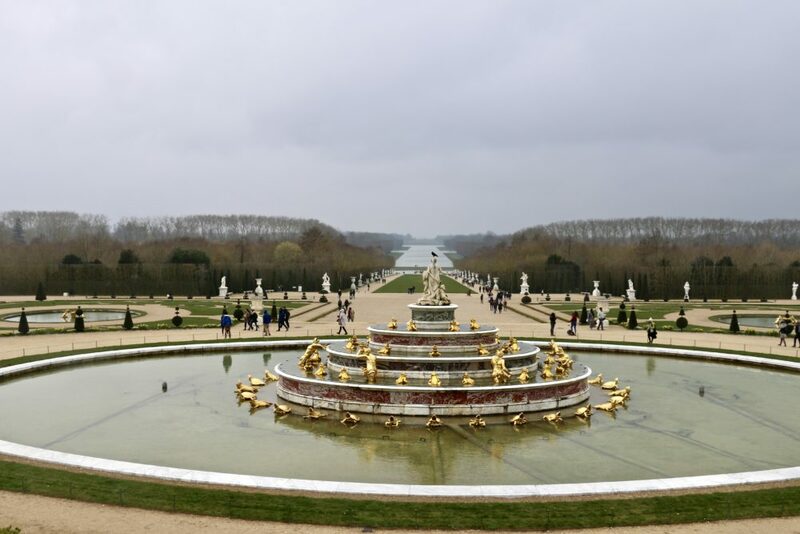 The Gardens of Versailles also deserve special attentions. 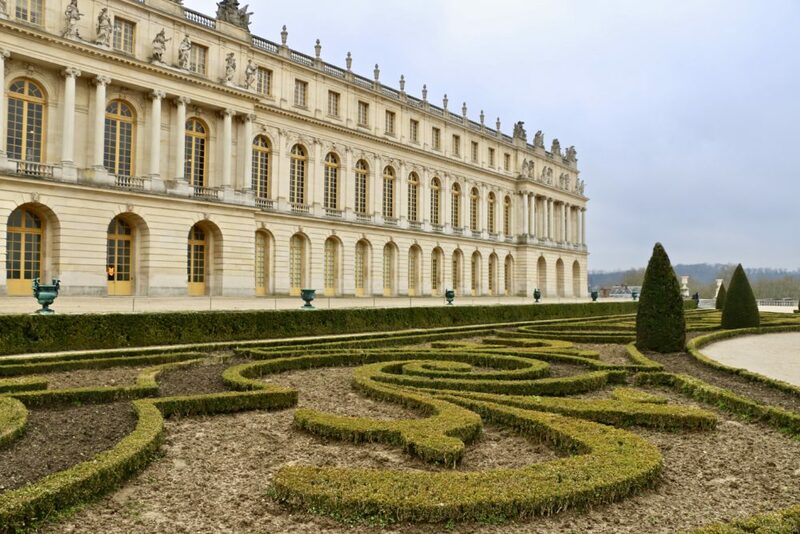 Symmetrically arranged lawns with fountains and bountiful sculptures create a particular order and structure, one of the significant characteristics of a formal French-style garden. 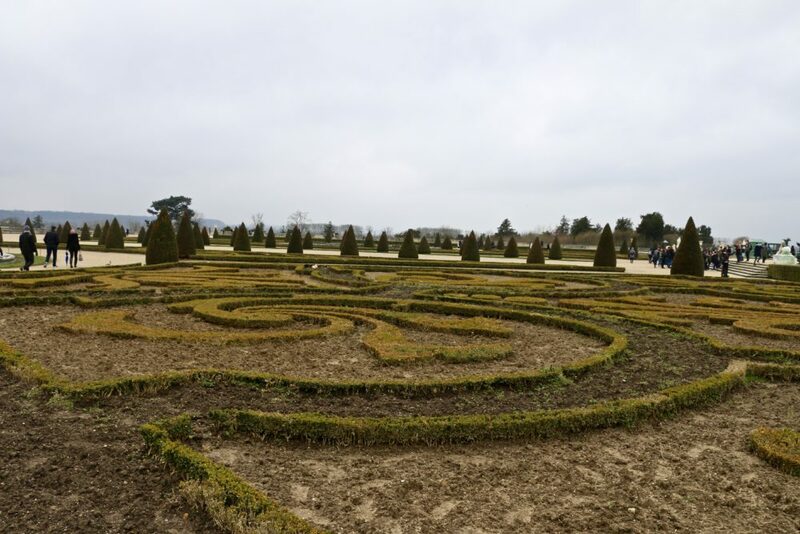 With 800 hectares of land, the gardens can be considered a pretty good form of workout. If you intend to explore all of them in one day, then without any remorse, you can put a mental check mark next to the work-out line on your daily to-do list and skip your regular exercise session at the gym. Your choice of accommodation in the city is vast. 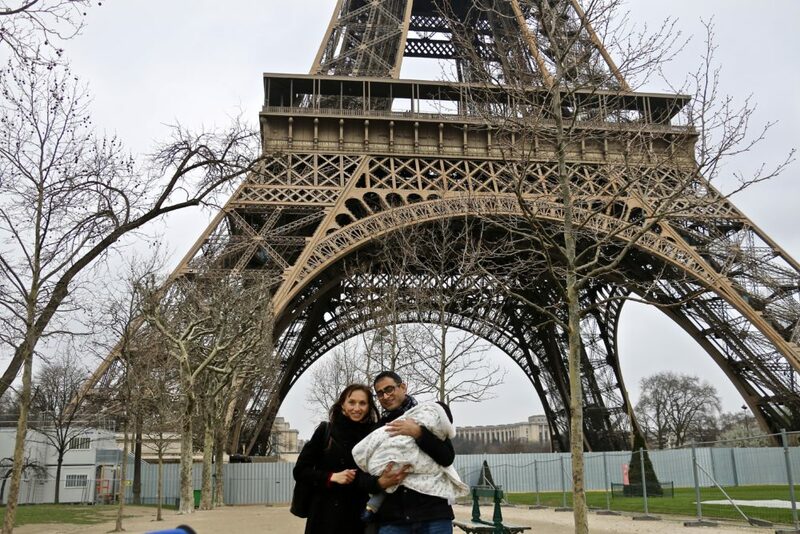 Raging from motels and one- and two-star hotels to Airbnb and luxurious hotels, Paris is able to satisfy and accommodate all types of travelers regardless of their budgets and preferences. If you are like us and preferred to stay at a hotel, there are a few things to take note of. Rooms in Paris’ hotels tend to be small. Even after learning about this fact, you still might be surprise how tiny they actually are. One of our rooms was so small that we could not get rid of a feeling that we had booked a ship cabin rather than a hotel room. If you rely on hotel bath amenities during your travels, you might be surprised to find out that most Parisian hotels provide their guest only with mini soap bars and shower gels. Shampoos and lotions do not fall in the category of hotel bath amenities. Breakfast is rarely included in the hotel rates. Typically it will cost you additional 10-15 Euro per person to load on some morning goodies from breakfast buffet before heading out to the city. 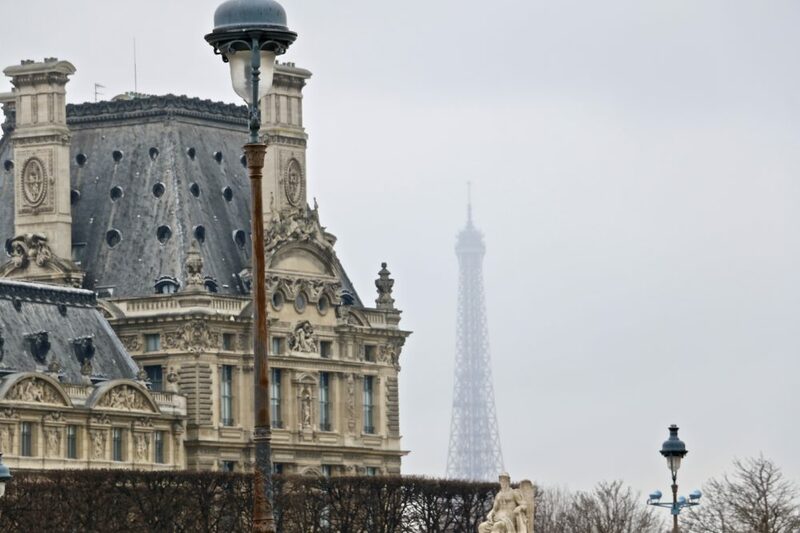 Paris is always a good idea and so is Parisian food. Just thinking about French cuisine makes my mouth water. Traditional restaurants, cafes, bistros and brasseries will offer you an unforgettable gastronomic experience and opportunity to immerse in the French culture. It is always recommended to make your restaurant reservation in advance to make sure that the restaurant is able to accommodate you at your preferred time and date. My favorite way to get familiar with new cuisine though is to wander around and uncover dining places along the way. 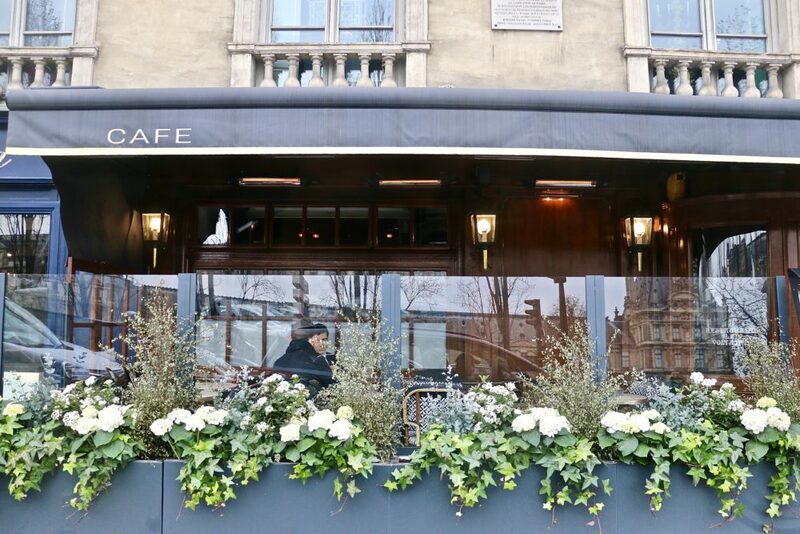 Le Marais is one of the best foodie districts to start off. If after all these gastronomic experiences you still want to grub a few things for a late snack, stop at Monoprix, a Parisian favorite store where you can find everything from food to clothes and health and beauty products.